Every time I go to Beatissima, I break out in a cold sweat. So I try not to spend too much time there. But this talk about a wall, c'mon, that's just crazy talk. 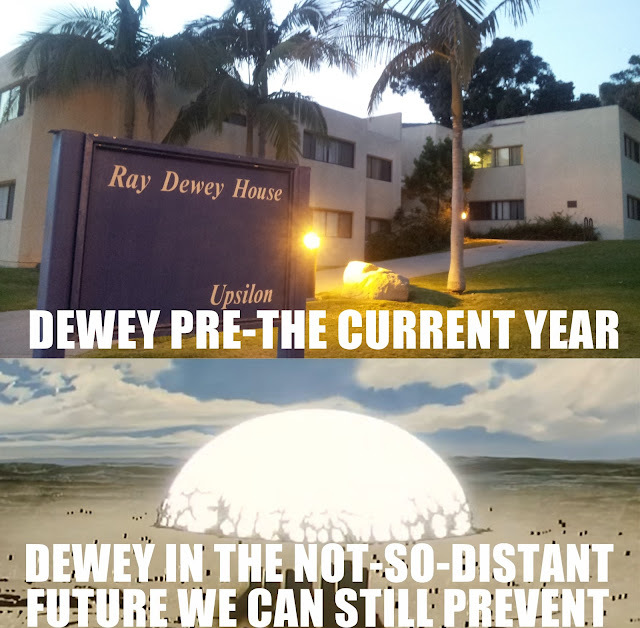 Nobody in their right mind thinks you can build a wall around Dewey. It's not even an adult conversation. Well, I'll tell you what. We've knocked on hundreds of doors already. We did it to Payson and now we're going to do to Dewey!